THE appointment of a close ally of Asiwaju Bola Tinubu, the national leader of the APC, Mr. Bola Ilori as the Director-General of the Campaign Organisation of the governorship candidate of the Alliance for Democracy, AD, Chief Olusola Oke has generated a fresh crisis in the APC. This is coming in the wake of claims that APC members suspected of being sympathetic to Oke may be axed for anti-party activities. This is coming even as the dust that the controversial governorship primaries raised is yet to settle. Ilori’s appointment has drawn the ire of some APC chieftains, who are canvassing his immediate suspension from the party. Some APC enthusiasts are insisting that Illori’s appointment is a confirmation of the claim that Tinubu was instrumental to the defection of Oke to the AD. While most members of the state executive remain non-committal. 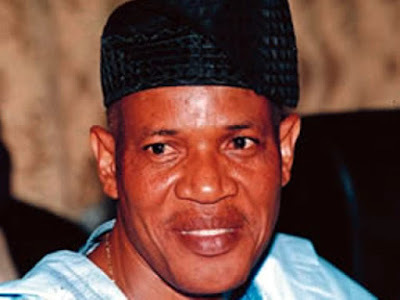 the Publicity Secretary Abayomi Adesanya has said that the likes of Ilori would be suspended for anti party activities. But Vanguard gathered that Ilori and others would soon defect to AD. Speaking with Vanguard, the secretary of the party in the state, Rotimi Rahman said that Adesanya was not speaking for the party. Rahman told Vanguard that the Assistant Publicity Secretary, Baderinwa Adeyemi and himself have been mandated by the State Executive Committee to henceforth speak on behalf of the party. He disowned Adesanya saying he “no longer speaks for the party.” But Adesanya told Vanguard that “some members loyal to the National Leader of the party, Asiwaju Bola Tinubu had been found to be involved in some activities against the party in recent time. The party’s spokesperson, who said expulsion from the party was penalty for any act of anti-party activity, said the the national body of the party would investigate and later come out with an action against any national leader in such activity. Bola Ilori reacts But Ilori, in his reaction, said he was still consulting with leaders of the APC whether to accept the appointment or not. Ilori told Vanguard that “An offer has been made to me, but I am reaching out to my people and supporters on the matter, in a few days I will address the press on it after I have concluded my consultations. I will get back to you.